Preparing Illustrator drawings for the Speedy 300 laser cutter | Christoph Bartneck, Ph.D. This tutorial will show you how to prepare your drawing for the laser cutter. I assume that you are using Illustrator CS3 to create your drawing. 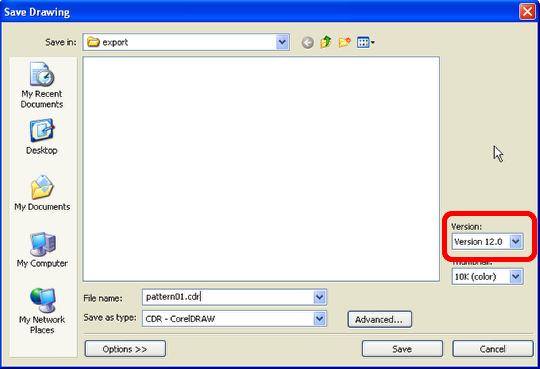 In addition to Illustrator, you also need to have Corel Draw, which you can download from the TU/e website. 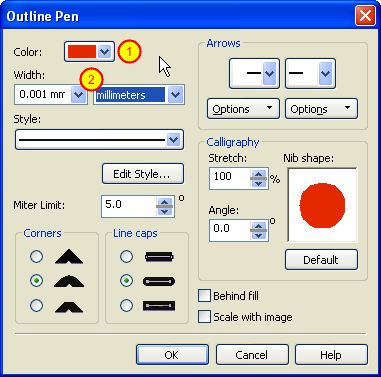 You may also to consider to work directly in Corel Draw, since it can also import EPS files, however, you may miss the creative power of Illustrator. We have a Trotec Speedy 300, which has an accuracty of +/- 0.0025mm, which makes it an excellent tool to cut wood, plastic and paper. Metal cannot be cut and not all plastics are suitable. Please check with machinist if your material can be cut. As a rule of thumb, MDF, paper, cardboard and Perspex can but cut up to a certain thickness. In addition, the Speedy 300 can engrave many materias. All your drawings must be on one layer and lines shall not overlap, otherwise the laser cutter will execute the same cut twice. 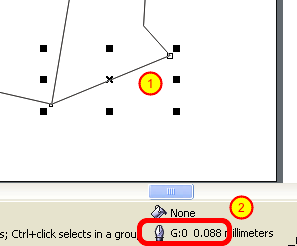 If you intend to engrave a line, then this line should be at least 0.1mm, otherwise the line will be invisible. If you want to engrave a photograph, then you need convert it to grayscale picture and plase in the document. The laser cutter software will convert this photograph into a B&W rastered image. 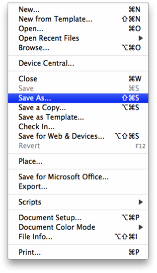 Save your documents into a new file. 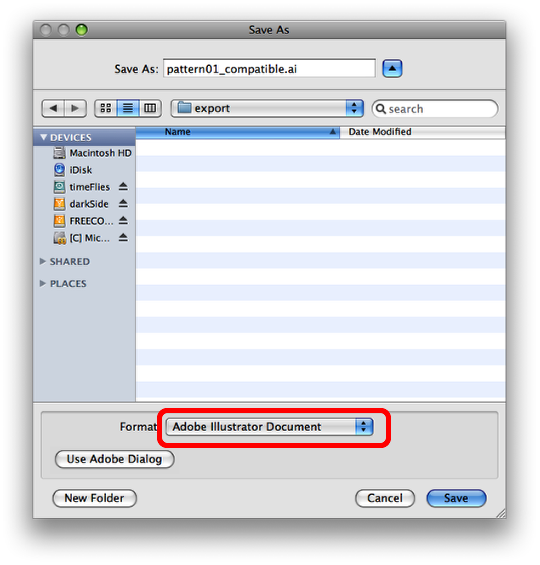 Give your file a new name and choose the Adobe Illustrator Format. 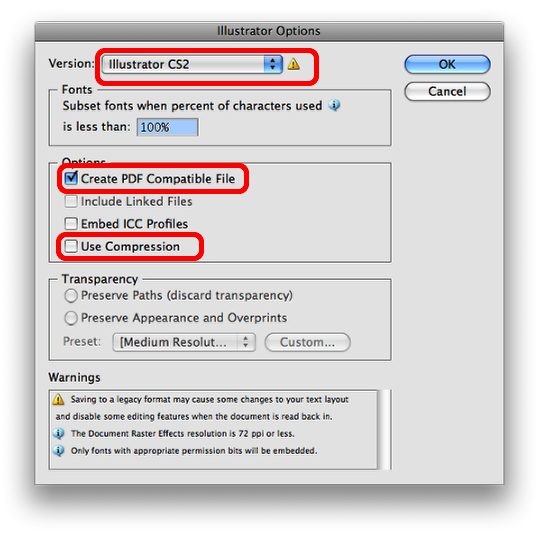 Make sure that you select Illustrator version CS, that you check “Create PDF Compatiblet File” and that you uncheck “Use Compression”. Afterwards, press “OK”. 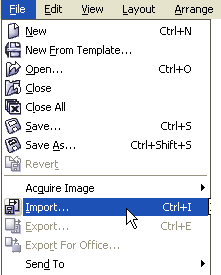 Choose the illustrator file and the click “Import”. 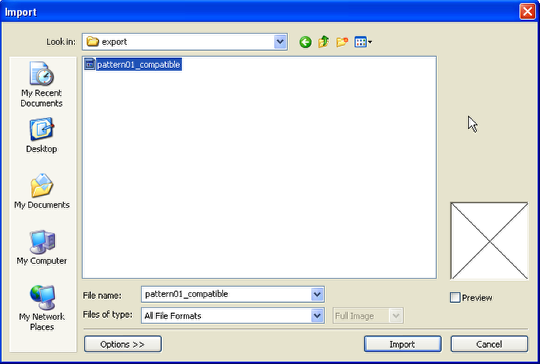 Place the file on the screen, but make sure that it is not completely on the edge. Be sure to also remove all the layers from the Illustrator file, except the one with your cut instructions, otherwise the file cannot be imported in CorelDRAW!